67 years, 1 month, 22 days old age. Prakash Jha will turn 68 on 27 February, 2020. Only 10 months, 8 days, 4 hours, 11 minutes has left for his next birthday. Prakash Jha has celebrated the total number of 67 birthdays till date. See the analysis by days count and bar graph. Prakash Jha was born on 27th February 1952 in Bihar, India. 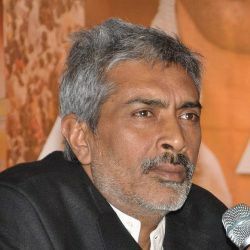 Prakash Jha is an Indian film Producer, Director and a Screenwriter, who is most known for his political subject based movies like Gangaajal and Apharan. He left his studies mid-way and decided to go to Bombay to pursue a career as a painter, though while he was trying for J.J. School of Arts, he got an opportunity to witness the shooting of the film Dharma and he was so impressed that he changed his mind to switch from painter to filmmaking. He made his debut, as a director with the movie Hip Hip Hurray which released in 1983, written by noted scriptwriter Gulzar. His next directorial venture was the film Damul in 1984, for which he received most appreciation by critics. The film addressed the issue of bonded labour in Bihar. He then took a break from filmmaking and after returning back he directed movies like Bandish and Mritydand. In the year 2003, he scripted, directed and produced Gangaajal, which enjoyed a great success at the box-office and was also critically praised as well. The film went on to win National Award for Best Screenplay. After which, he directed various acclaimed films such as Apaharan, Dil Dosti Etc, Raajneeti and Yeh Saali Zindagi among others. He in addition to directing and producing also acted in the sequel of his National Award winning film Gangaajal titled Jai Gangaajal. The movie was a moderate hit but his performance as an actor was appreciated. He recently released yet another acclaimed film titled Lipstick Under My Burkha. In addition to films, he has also produced a web series titled Sare Jahan Se Accha in the year 2018. 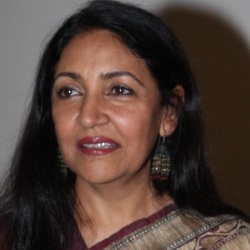 He married Deepti Naval in 1985 and the couple adopted a girl child Disha Jha. The couple decided to separate after 17 years of their marriage and they finally divorced in 2002. His parents wanted him to become an IPS officer. He left his hometown with just Rs. 300 in his pocket and came to Mumbai. During his struggling days, he even worked in a restaurant. For his documentary film "Faces After The Storm", he won a national award. He separated with his wife after 2 years of their marriage but officially divorced after 17 years of their marriage.